We showed up at the airport this morning only to find our Jubba Airways flight rerouted to Mogadishu. 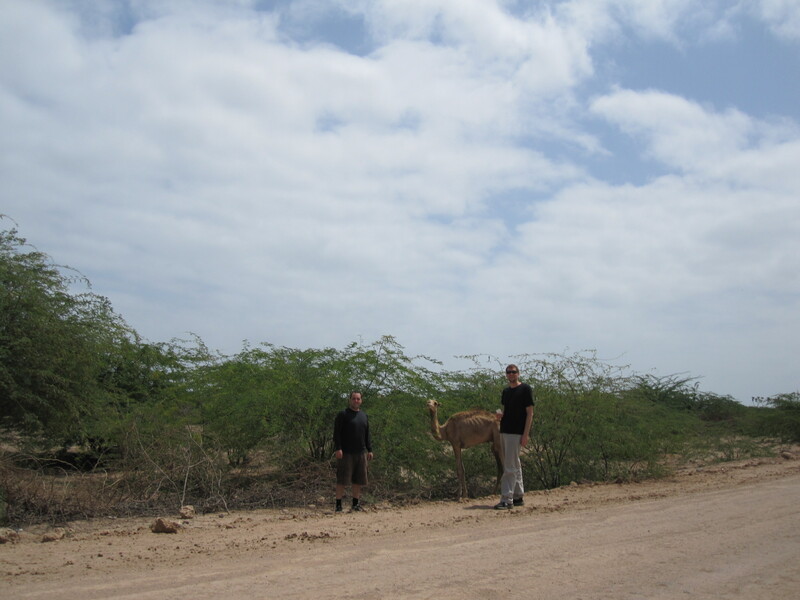 Neither of us had any plans to go to the south of Somalia, so we went back to the center of the city to find a taxi. 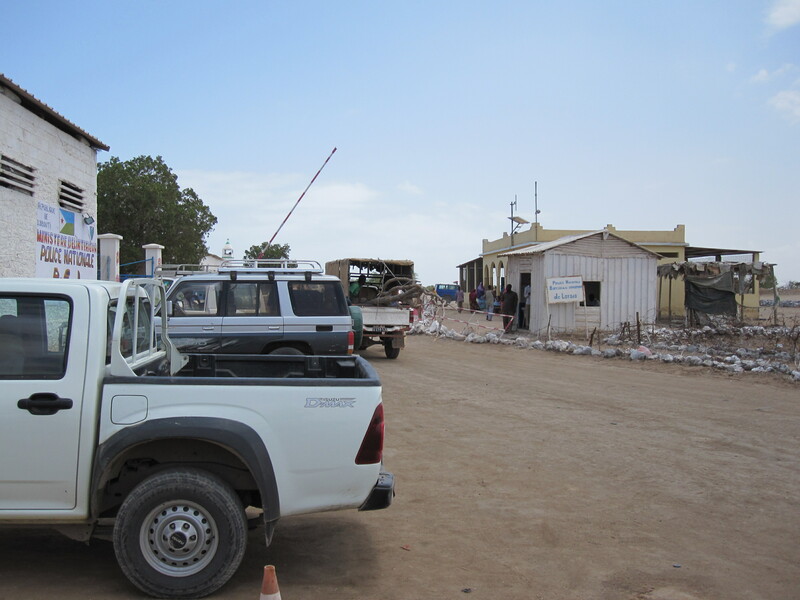 The idea was that we can rent a cab to the border town of Loya’ada, have lunch, then drive back to Djibouti. We arrived at the border, and the border control were not happy at all to see us. They basically gave us an ultimatum that we could continue 20 hours to the capital of Somaliland and be denied return entry to Djibouti(we obviously did not have the supplies for this, and it risked us being stranded in Somaliland), or we could turn around and go back to Djibouti City. The choice was not really a choice. We will arrive in Addis again tonight and make our contingency plans (whether to rent trucks to Somaliland from Addis, or renting a car and doing a DIY tour of southern Ethiopia). We did see some great sights on the way to the border. We obviously had to take the random picture with the camel. The road was really awful. I ended up taking about 20 minutes of video of the drive just because nobody would believe the terrain this little Russian Lada car was going over. It is definitely high on the list of most terrible roads I have ever been on. I guess we have to pack our things and get to the airport to head back to the thin, oxygenless air of Ethiopia. I’ll update the blog after we figure out where we are planning on going. This entry was posted on March 13, 2010 at 04:40 and is filed under Somalia. You can follow any responses to this entry through the RSS 2.0 feed. You can leave a response, or trackback from your own site.